The physical change switched to housing and we started to mainstream some of our successes. Talk – at the Freedom Centre. teenagers from the Estate who had become young advisors to the Office of the Deputy Prime Minister. 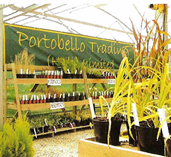 The East Hull Centre for Horticulture launched Portobello Trading, a retail arm to sell plants to the public.